The Musical Swings are coming to Lawrence, Indiana! 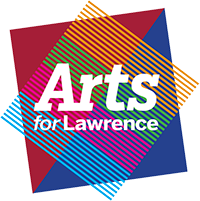 The City of Lawrence and Arts for Lawrence are launching the Fort Ben Cultural Campus, funded with a grant from Lilly Endowment Inc. through its Strengthening Indianapolis Through Arts and Cultural Innovation initiative. To celebrate the onset of this unique project, the community is invited out to swing! The Musical Swings - designed by Daily tous les jours - are an interactive exercise in community collaboration that has traveled the world winning accolades and awards along the way. The Musical Swings will be open to the community Saturday May 11 at the site of the future Fort Ben Cultural Campus, at 8950 Otis Ave (northeast corner of Post Road and Otis Avenue, Lawrence, Indiana) and will remain through Sunday June 9. Arts for Lawrence envisions the new Cultural Campus as a destination that residents and visitors alike will want to revisit over and over because of its interactive qualities. “It’s one thing to look at art, and quite another to interact with it, and be a part of the experience,” says Judy Byron, Executive Director for Arts for Lawrence. “The Musical Swings art installation is the perfect first experience to get folks excited about what to expect at the Fort Ben Cultural Campus,” she said. According to Daily tous les jours, a design studio based in Montreal, Canada, the experience is based on an intuitive game that requires no musical knowledge. However, the correlation between the created melody and the movement of the swings transforms the participants into real musicians. In fact, participants reported feeling as if they were playing music with all of their body. It is a performance that they create spontaneously and without expectation, almost by magic. Daily tous les jours creates large-scale interactive installations driven by collective experiences. Daily’s work has won numerous international recognitions including Best in Show at the IxDA Interaction Awards and the Grand Prize at the UNESCO Shenzhen Design Awards.